Welcome to Pride’s Resources and Support page! Here you will find everything you need to know about operating your Pride® Power Chair, Scooter, Travel Mobility, Power Lift Recliner, and Lift. Review order forms for specific products and view brochures listing all the features and benefits of your mobility device. Download the owner’s manual for your mobility aid and view basic operating instructions for accessories. Complete a form to register your product warranty and learn about your warranty coverage. Discover the features and benefits of your Pride Mobility™ product, view specifications and learn about other products that Pride offers. Download the owner's manual for your Pride product and review specifications and safety guidelines. Find installation and care instructions for power lift recliners, accessories, cushions and more. 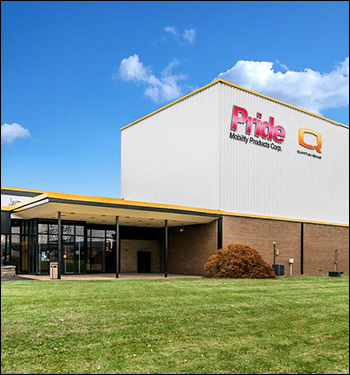 Download the order form for a specific Pride® product. These forms represent the newest versions available. Follow step-by-step instructions and complete a form to register the warranty of your mobility product. Review the conditions and requirements of the warranty coverage for your Pride product. Step by Step Consumer Guides to Medicare Coverage. Got a question about your Pride product? Find the answers to the most commonly asked questions about our scooters, power chairs and lift chairs. Need help paying for your mobility product? Consider CareCredit, a financing option available through many Pride providers. You can also learn about available funding through other organizations. Learn how to make the most of your life with your mobility product. Enjoy an array of articles on traveling, managing your home and staying healthy and active. Brochures, Order Forms, and Contracts for VA Medical Centers and Facilities. Do you have a question or need assistance with your mobility device? Give us a call or send us a message. We’re here to help! Send a message and a Pride Mobility representative will contact you soon.